If you go to Browse and look far left you’ll see Concerts. Tap it and find out when your favorite artists are performing. 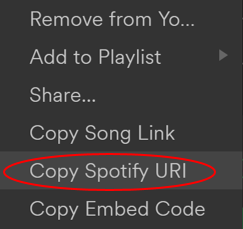 Right-click on the song and choose Copy Spotify URI. Paste the link in a message and add # and how far in the song they should listen. Example: #2.01. When your friend enters the link, they’ll automatically hear the song from that second. Let’s say you want to listen to David Bowie but you don’t want to bother scrolling through all his music, but rather listen to songs from 1997. Write the following in the search bar: David Bowie year:1997 and you’ll only see his songs from 1997. Did you delete a playlist by mistake? No worries! 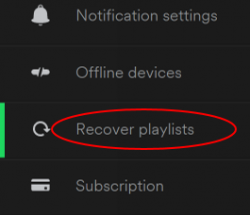 Log into your Account, click Recover playlist in the menu on the left. Click Restore next to the playlist you want to recover and it will show up in your playlist library again. 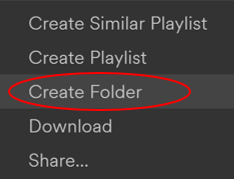 If you have too many playlists and want to group them, you can create a folder by right-clicking the playlist. If you’re, for instance, having a party you probably don’t want the music to go silent between the songs. There’s an easy fix to this in your Account, choose Show Advanced Settings. Determine how much you want the songs to intertwine by adjusting the crossfade bar. 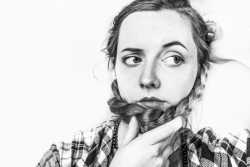 If you tweet Spotify Cares and ask nicely, the team might make a playlist just for you. Try it out!